The US H1B visa is a non-immigrant visa, which allows a US company to employ a foreign individual for up to six years. Applying for a non-immigration visa is generally faster than applying for a US Green Card, therefore it is more common that staffs required on long-term assignment in the US are often initially brought in using a non-immigrant visa such as the H1B visa. The US H1B visa is a also useful for foreign professionals with specialized knowledge, such as scientists, engineers, programmers, research analysts, management consultants, journalists, accountants, and others with Bachelor’s or equivalent degree. Individuals can not apply for an H1B visa. If you are the potential employee researching these laws you need to have your employer spearhead the process. Employers must petition for entry of the employee(s). Be advised, H1B visas are subject to annual numerical limits. US employers are allowed to begin applying for the H-1B visa a full six months before the actual start date of the visa. Since the beginning of the FY 2012 is October 1, 2011, employers can apply as soon as April 1, 2011 for the FY 2012 cap, but the beneficiary cannot start work until October 1st 2011. The initial H1B visa may be granted for up to three years. It may then be extended for an additional three years, to a maximum of six years. Those wishing to remain in the US for more than six years may, while still in the US on an H1B visa, apply for permanent residence (a “Green Card”). 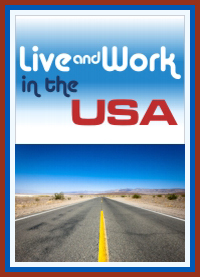 If employees wanting to stay longer than six years do not gain permanent residence, when the six year period runs out, they must live outside the US for at least one year before an application is made for them to enter on either an H or an L visa. Once a company has brought an employee to the US on an H1B visa, should the company dismiss that employee before the expiration date of the that visa, the company is liable for any reasonable costs that the employee incurs in moving back to their last foreign residence. This provision covers only dismissal. It does not apply if an employee chooses to resign. If you need assistance with H1B Visas please call Los Angeles County’s preeminent Immigration law firm: Vincent W. Davis & Associates where an Immigration Attorney will speak with you or your companies’ HR department to discuss all of your available options.